An A-to-Z of doping including its definition, its importance, methods of measurement, advantages and disadvantages, properties and characteristics—and role in conjugated polymers The versatility of polymer materials is expanding because of the introduction of electro-active behavior into the characteristics of some of them. The most exciting development in this area is related to the discovery of intrinsically conductive polymers or conjugated polymers, which include such examples as polyacetylene, polyaniline, polypyrrole, and polythiophene as well as their derivatives. «Synmet» or «synthetic metal» conjugated polymers, with their metallic characteristics, including conductivity, are of special interest to researchers. An area of limitless potential and application, conjugated polymers have sparked enormous interest, beginning in 2000 when the Nobel Prize for the discovery and development of electrically conducting conjugated polymers was awarded to three scientists: Alan J. Heeger, Alan G. MacDiarmid, and Hideki Shirakawa. Conjugated polymers have a combination of properties—both metallic (conductivity) and polymeric; doping gives the conjugated polymer's semiconducting a wide range of conductivity, from insulating to low conducting. The doping process is a tested effective method for producing conducting polymers as semiconducting material, providing a substitute for inorganic semiconductors. 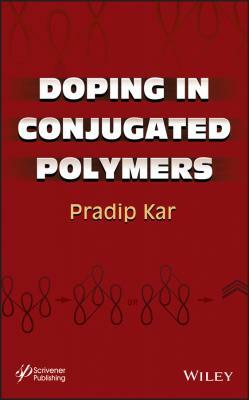 Doping in Conjugated Polymers is the first book dedicated to the subject and offers a comprehensive A-to-Z overview. 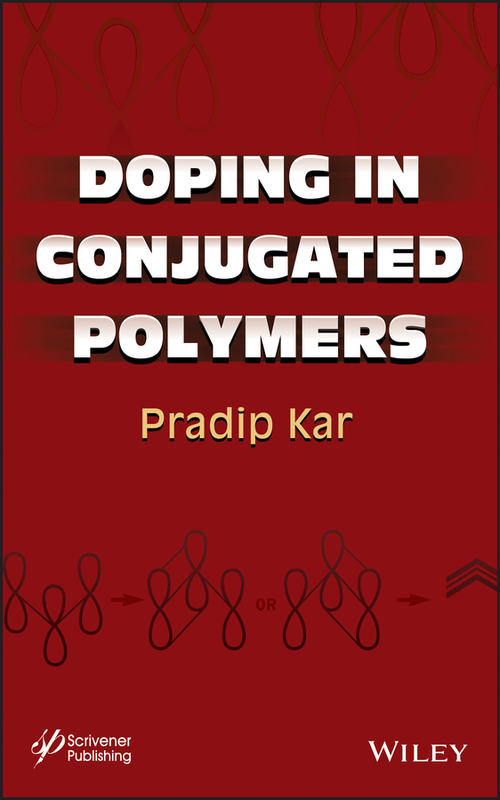 It details doping interaction, dopant types, doping techniques, and the influence of the dopant on applications. It explains how the performance of doped conjugated polymers is greatly influenced by the nature of the dopants and their level of distribution within the polymer, and shows how the electrochemical, mechanical, and optical properties of the doped conjugated polymers can be tailored by controlling the size and mobility of the dopants counter ions. The book also examines doping at the nanoscale, in particular, with carbon nanotubes. Readership The book will interest a broad range of researchers including chemists, electrochemists, biochemists, experimental and theoretical physicists, electronic and electrical engineers, polymer and materials scientists. It can also be used in both graduate and upper-level undergraduate courses on conjugated polymers and polymer technology.